Every Customer Service VP knows that, along with offering a great product, providing great customer service is a major way to set yourself apart from the competition and increase your Customer Lifetime Value. There are a variety of metrics to help you assess the success of your customer service team. A few of the metrics that help you track the level of service customers receive have to do with Resolution Rate. Resolution Rate refers to the rate at which your company fulfills service requests. 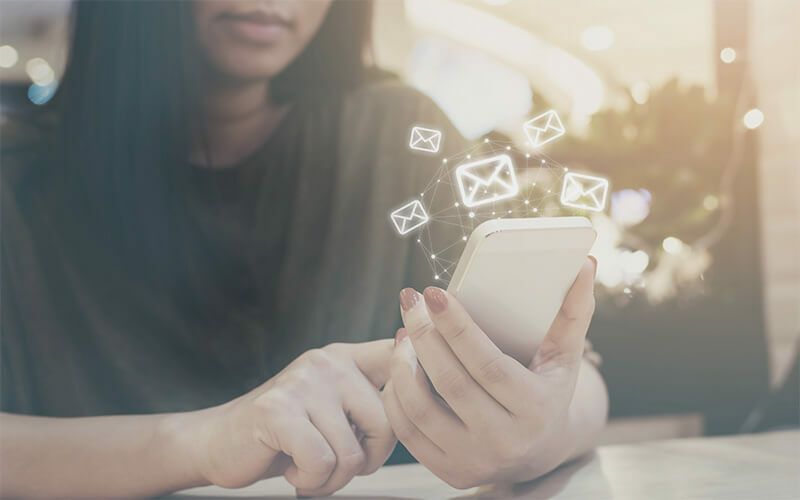 It’s worth noting that customers may have different resolution expectations depending on the channel they use to contact you with a service request. Someone who sends you an email is probably not expecting as prompt a response/solution as someone that calls you on the phone or chats in on the internet. Why should you know your Resolution Rate? Your Resolution Rate is one of the ways to measure the level of customer service provided to customers and gauge how well you meet your Service Level Agreement (SLA). Knowing your Resolution Rate is also helpful because truly understanding it requires defining acceptable and recommended resolution times for service requests. When customers contact your company seeking a solution to a problem with your product, your First Response Time (FRT) as well as the amount of time they have to wait for a resolution is vital. Customers need to know you care about them. A prompt Resolution Rate communicates to customers that they are important. What is a good Resolution Rate? Resolution Rates can vary depending on the industry and how you define resolution for a support request. In many instances, resolving a support request within 24 hours of the first contact is a good timeframe to shoot for. What can I learn from Resolution Rate metrics? 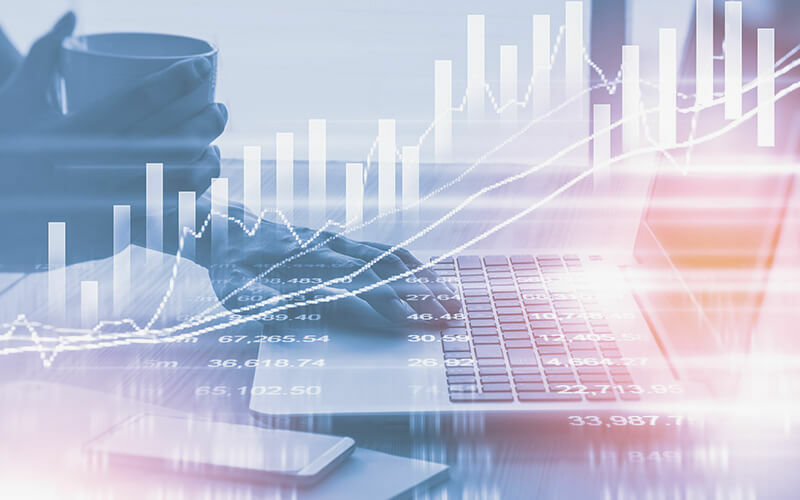 Resolution Rate metrics can help you gauge how your company performs when it comes to customer experience, as well as show you how well each of your customer support reps performs individually. Here are two metrics that will help you understand your Resolution Rate. Many companies have a system set up that creates a support ticket when someone contacts them with a support request. 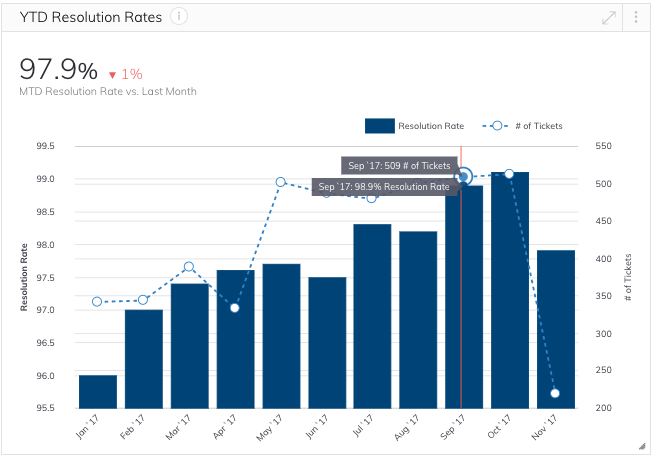 If your company has a system like this in place, a Week to Date Ticket Stats metric, like the one above, can help you. The metric above helps you track each customer service rep’s ability to resolve customers’ service requests and compare reps’ output side-by-side. With this metric, it’s easy to see that Steve and Aaron resolved all of their support tickets. However, Steve stands out because he managed to close all of his tickets while also having more support requests than any other rep. If you were a manager over this team, you should look into how Steve and Aaron managed to close all of their tickets, especially if they have done so successfully for several weeks. You could learn some of the resolution techniques they use and share them with the rest of the team to improve their performance. 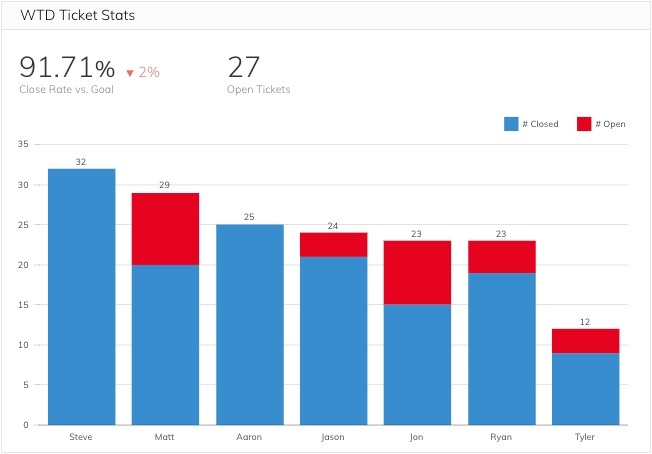 Viewing this data as a stacked bar chart helps you easily compare how many closed and open support tickets each rep has during a specific week. When viewing this kind of data, make sure you don’t get tunnel vision. This metric tells part of a story but not the whole story. Suppose during the same time period Steve has been closing both a higher amount and all of his service tickets while Jan has several unclosed service tickets. If you were to only compare these two based off of the data on this metric, you might think Steve is a better rep than Jan. But there are other factors to take into account. For a more complete picture of each rep’s performance other than the number of requests they close, you also need to do a quality check. Doing this helps you know if reps meet customers’ expectations after they complete service requests. You can perform a quality check by reviewing the customer satisfaction and NPS scores of the clients a customer service rep is assigned. Steve might close a lot of tickets, but do the customers he helps feel like they receive the help and attention they need? And perhaps Jan doesn’t close as many service requests, but her customers have a higher customer satisfaction rating and NPS than Steve’s do. If Jan’s customers have higher customer satisfaction scores and NPS than Steve’s, you’d still want to work with her to improve her resolution rate, but it’s important to know she is treating customers well. You’d also want to work with Steve to improve the level of service he offers clients. Tracking weekly Resolution Rates is important, but you also need to know how well your customer service team performs month-to-month. Doing so helps you know which are the busiest times of the year so you can prepare your customer service team, hire extra part-time help, or other options. The Year to Date Resolution Rates metric above allows you to compare month-to-month performance for last year and the current year. 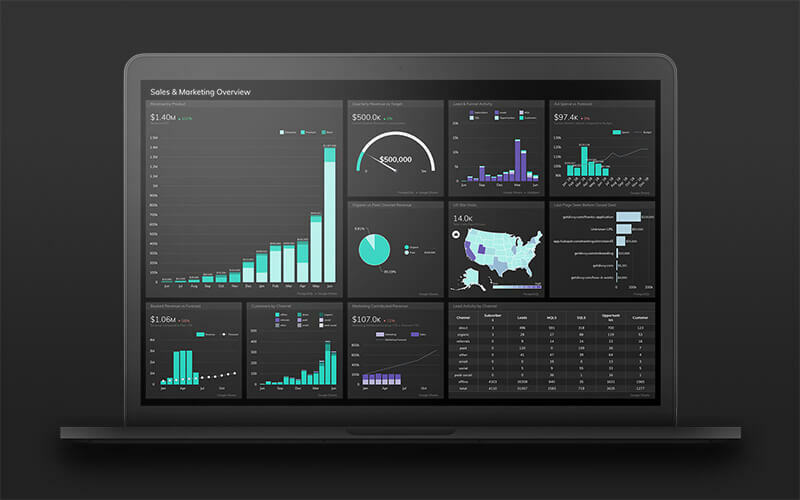 Viewing this data as a column and line metric helps you easily compare last year’s month-to-month data with this year’s month-to-month data. How do you calculate Resolution Rate? How do I create Resolution Rate metrics? The metrics shown above were created with Grow. They can be created with data pulled from customer support software like Zendesk, Intercom, etc. To see if Grow integrates with the customer support platform you use, view our integrations here.